This is probably the most astounding statement I will hear from a potential home buyer occasionally. There are two reasons for this. First of all, the first owner gets to work out all the bugs. Secondly, why do we assume that nobody does anything wrong in the building process. Back when the Ford Focus first (nice alliteration, huh?) came out, we bought a brand new one. It was great to have a new vehicle but we had to deal with all the recalls over the first few years as the bugs were worked out. Now I’m not saying that they will have a recall on your house, but you could be the one to discover the door that sticks, the outlet that doesn’t work, a leak in the sink because it hadn’t been run much during the construction process, etc. Also, a home inspection can give you suggestions of things to watch for over the years for maintenance purposes. 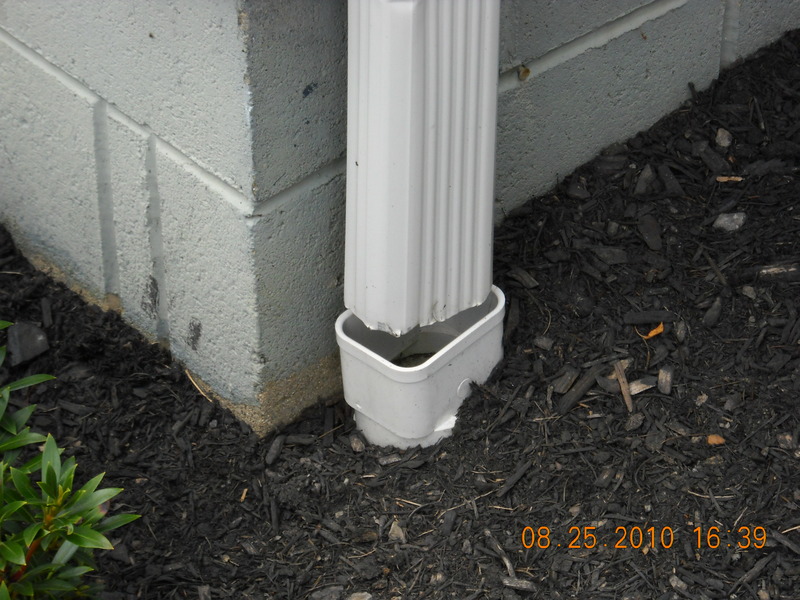 One thing I see very frequently in newer built houses is the boot that recieves the gutter downspouts will settle over the first few years. When this happen the water can come out of the boot which goes into the ground and takes water away from the house and instead deposit a roofs worth of water right next to your foundation. This can then cause moisture problems in the basement (see included pic). Now the second reason for an inspection on a new build. I know this is hard to believe but people occasionally make mistakes. Gasp! 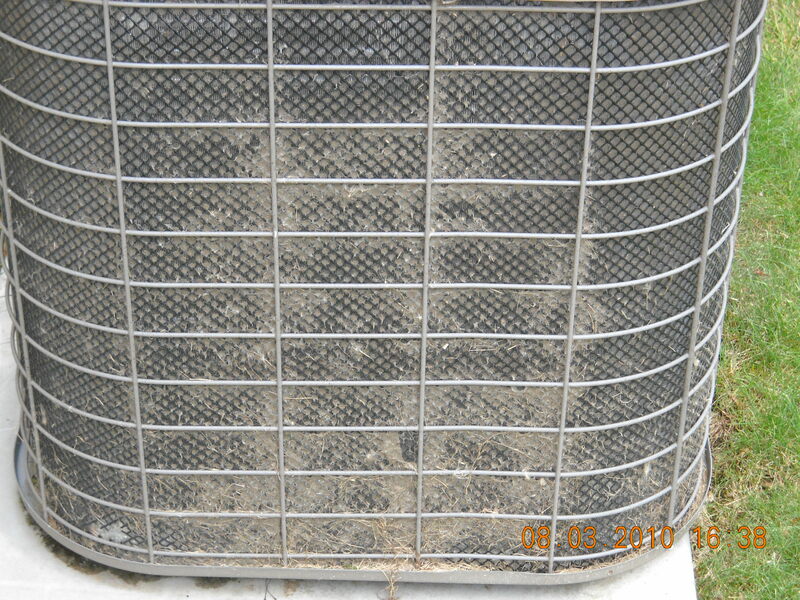 Dryer vents get installed right behind the AC and coat the condenser fins with dryer lint, light switches get installed behind a bedroom door, GFCIs in kitchen and baths are not wired properly, doors don’t latch when closed, etc. “But I will do a walk-through with the builder”, the home buyer will say. You would like to think that they have your best interests at heart but they are ready to move on to their next project. Also, you should have an advocate. Look, you are spending good money on a big investment. Let’s say that you are spending $200,000. If the home inspection was $300, that is 0.15%! That’s right, not even 1% of the cost of your house. Also, by going through the house with your inspector you will learn much and get a good working knowledge of your house. So please, don’t step over dollars to pick up dimes.